Every 6th person on this Planet is a Hindu and Hindus still constitute the overwhelming majority in India – nearly 80% of the population. Humanity needs thus to re-discover the wonder that is Hinduism, the oldest spirituality still in practice in the world. It is also true that Hindus must to rise to the challenges of this second millennium. Here they are – in order of difficulty. Break the Polytheist image. 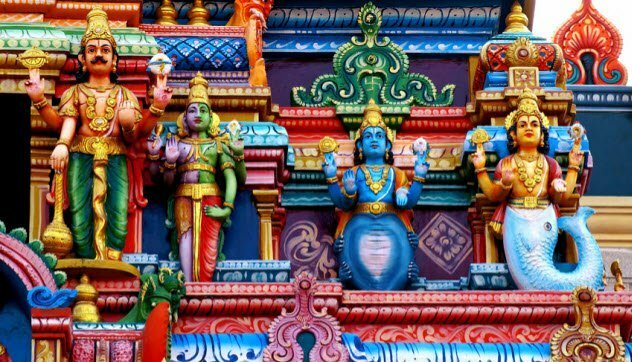 One of the most enduring clichés about Hinduism is that Hindus adore a multitude of gods and goddesses, which makes them heathens in the eyes of Christians, thus good to be converted to the ‘true’ God, often with unethical financial baits; & ‘kafirs’ for Muslims from all over the world, particularly from neighbouring countries, such as Pakistan, which encourages them to wage a jihad on India. Yet, Hinduism, whether you want to call it a religion or a spiritual system, is without doubt one of the most monotheist creeds in the world, because it always recognized that the One is Many and that He incarnates Himself or Herself in a multitude of forms – hence the million of gods & goddesses in the Hindu pantheon. Vedic Sages (from the Vedas, the oldest and most sacred Scriptures of Hinduism) had understood that man has to be given a multiplicity of different approaches to the Unfathomable. And truly, for the Hindus, the Divine cannot be “this” or “that” – neti, neti. In its essence, He cannot be several – or even one – and thus can never be perfectly seized by the human mind. Indeed, Hindus, who were once upon a time the best dialecticians in the world (and this is maybe why they are today the top software programmers of this planet), were able to come-up with this kind of equation: a) God is in the world; b) the world is in God; c) the world is God; d) God and the world are distinct; e) God is distinct from the world, but the world is not distinct from God; f) it is impossible to discern if the world is distinct from God or not… Never has the unique nature of Hindu polytheism been better defined. 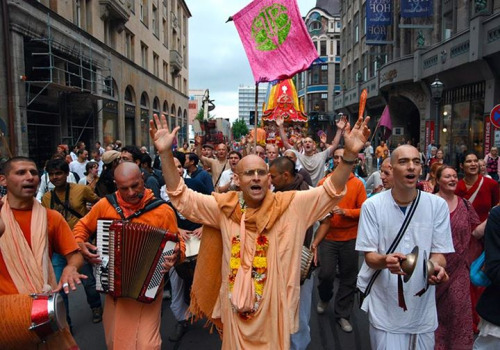 Hindus in the world need to emphasize to their western brothers and sisters that they have also always recognized the divinity of other religions, as their concept of the avatar (the different forms that the Divine takes at different times to incarnate Himself or Herself in a human form) helped them to accept the reality of other prophets, masters or gurus. It is, for instance, perfectly acceptable for an ordinary Hindu to have on his wall the image of Krishna, alongside the one of Buddha, one of the Christ, with a few photos of the Mecca or even John Fitzgerald Kennedy ! And Hindus have always worshipped at non-Hindu places, such as Velangani, the Christian seat of pilgrimage of South India, or some Sufi shrine in Kashmir or Rajasthan. It should be said too that Hindus never tried to convert others to their own religion, not even by peaceful means, as the Buddhists did all over Asia; and their armies never but oh, never, set to conquer other nations to impose their own culture and religion, as Islam and Christianity did, often in a bloody manner. Thus, Hindus in the West, need to be able to counter in a knowledgeable manner, verbally or in writing (letters to editors, etc.) this wrong polytheist image which has harmed them. Dispel the image of poverty attached to India. One of the reasons Hindus are not taken too seriously abroad, is that their country, India, is always associated with poverty. True, there is still poverty in India, social inequality, but since 1947, thanks to the Green Revolution, there has been no famine. 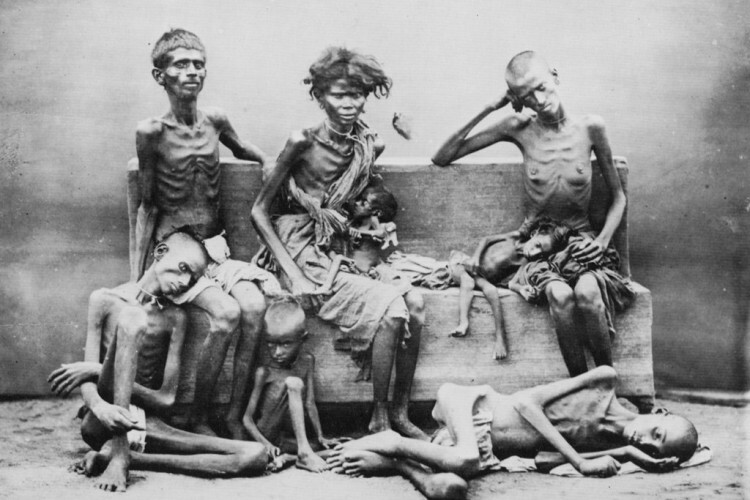 Hindus in the West can always counter this pervading untruth in the mind of the English, by stating that according to British records, one million Indians died of famine between 1800 and 1825; 4 million between 1825 and 1850; 5 million between 1850 and 1875; and 15 million between 1875 and 1900. Thus, 25 million Indians died in one hundred years under the benevolent rule of the British Raj! Poverty in India is also commercially exploited by Hollywood and writers. A book such as ‘The City of Joy’, by Frenchman Dominique Lapierre, which was a huge success worldwide, gives the impression that India is a vast slum, which is absolutely untrue – and the author, who often comes to India, had to know that he was inducing his readers in error. As for the film “Slumdog Millionnaire”, which raked-up so many Oscars, it is even more perverse: it says things which are false, portrays situations that are untrue, such as the young boy throwing himself in excrements, to get an autograph of India’s film star Amitabh Bacchan & should have been boycotted by Hindus. Yet, India is a wealthy country. It is said, even today, because of the socialist policies of previous governments and the heavy taxation, that half of India’s money is in the black. The poverty is only there because of the mismanagement, the dishonesty, and the inheritance of wrong structures. For Indians must be with some of the best savers in the world. And they don’t hoard in abstract concepts: they go in for solid gold, land, cash – and that from the little shopkeeper to the business magnate. As economic liberalisation is happening in India at this very moment, the rise of India as a superpower will herald the rise of the status of Hindus in the West and all over the world, for today the assessment that every industrial nation in the world casts on another country, is primarily economical. Thus China is respected so much today in the world, not for its political power, which is overshadowed by immense Human Rights abuses (Mao Tse Tung killed 3 million of his own people during the Cultural revolution and it has been calculated that one million Tibetans have been murdered by the Chinese), but by its economic clout. In the same way, India’s image, whose PIB has now overtaken China’s, will shed many of the prejudices attached to her, when the world takes notice of the huge investment possibilities there. Explain the caste system to westerners. Caste is still a curse that hangs around India’s neck. While it is true that 75% marriages are still arranged in India, Hindus in the US, UK and elsewhere, need to whisper in the ears of their western friends that the Indian Government has made tremendous efforts since 1947 to uplift the lower castes. And it has succeeded in great measure. Tell them that your present Prime Minister comes from one of the lowest castes and was a tea seller, that some of today’s Indian Chief Ministers are untouchables, or that one of India’s best known saints, Amrita Anandamayi, who has hundreds of thousands of disciples in the US, UK, & millions all over the world, and has built hospitals, universities, housings for the poor, comes from the lowest caste possible in Kerala. You can also ask your western friends if the caste system is really that worse than the huge class differences you can see nowadays in Europe or the USA! Dispel the notion that Hindus can be fundamentalists and violent. Hindus need to repeat again and again to their British brothers and sisters that the only country in the world where Jews were never persecuted is India. Tell them that the genius of this country lies in its Hindu ethos, or rather in the true spirituality behind Hinduism. Explain that the average Hindu that you meet in a million villages, possesses this simple, innate spirituality in his or her genes and accepts your diversity, whether you are Christian, Muslim, or Jain, Arab, French or Chinese. It is this ‘Hindu-ness’ (which cannot be experienced if you sit in Delhi most of the time) that makes most Indian Christians different, from say a French Christian, or an Indian Muslim unlike a Saudi Muslim. Also that Hindus have given refuge to all persecuted minorities of the world, whether the Syrian Christians, the Parsis (Iranian worshippers of Zarathustra), the Jews, the Armenians, or today the Tibetans (the real Tibet is in India now, as the one in the hands of the Chinese has lost much of its Tibetan character). Thus you cannot find less fundamentalist than a Hindu in this world and Hindus in the US, UK & Europe, should immediately react when they read articles in the British Press (often unfortunately from New Delhi-based correspondents) trying to equate Islamic terrorism, which blow-up innocent civilians, to angry ordinary Hindus who burn churches without killing anybody. Tell them that however reprehensible was the destruction of the Babri Masjid (a Mosque built in the 15th century by Muslim invader Babar on a very ancient and holy Hindu temple dedicated to the God Ram), no Muslim was killed in the process; compare this with the ‘vengeance’ bombings of 1993 in Mumbai, which wiped-out hundreds of innocent, mostly Hindus. Yet, the Babri Masjid destruction is often described by journalists as the most horrible act of the two. Today, you can argue with your British friends, Hindus are one of the most successful, law abiding and integrated communities in the world. Can you call them terrorists? 5. 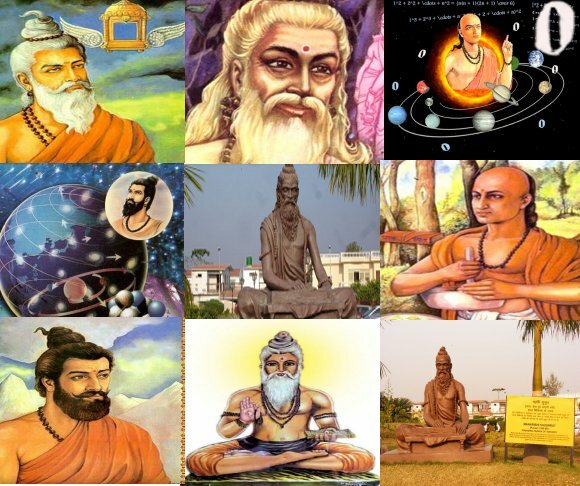 Tell Westerners about the greatness of Hindu philosophy & Literature. Indian education is a leftover from the British Raj. Nothing wrong with that, except that as a result, Indian students know all about Shakespeare, Napoleon, the Bible, but very little about their great warriors. And there were many : Shivaji Maharaj from Maharashtra, as great as a warrior as Napoleon, who started the first Indian navy, made laws, protected women and children from all religions; Maharana Pratap from Rajasthan, the only Rajput (maharaja, if you wish) who stood up to the Moghol invaders in the 17th century); and even great women warriors, the equals of Jeanne d’Arc: the Rani of Jhansi, who fought the British; Ahilyabai of Indore, who had the first women battalion in India, or Chennama in the South. Tell you British friends that some of the greatest poets who walked on this earth were Hindus: Kalidasa, whose Sanskrit was so pure, than even translated in English it still shines; Vyasa, who composed the Mahabharata, which has been considered by many western authors, of the same epic quality of the Iliad and Odyssey, etc. Western philosophy and culture trace its sources to ancient Greece… But many famous writers and Indologists have pointed out that Greece was greatly influenced by Hinduism. Famous Indianist Jean Herbert reminds us that “many many centuries before us, India had devised most of the philosophical systems which Europe experienced with later. They contained, at least in its essence, the philosophy of the Greeks, the Alexandrine mystique, the religious speculation of the Middle Ages, the rationalism of the XIXth century and even the most recent incarnations of modern pantheism”. In 1782, already, French philosopher Pierre Sonnerat had written: “Ancient India gave to the world its religions and philosophies : Egypt and Greece owe India their wisdom and it is known that Pythagoras went to India to study under Brahmins, who were the most enlightened of human beings”. But it is in XIXth century Europe that an open admiration for ancient India’s culture flourished best, particularly in Germany, where philosophers, such a Frederich Shlegel, said that “there is no language in the world, even Greek, which has the clarity and the philosophical precision of Sanskrit”, adding “that India is not only at the origin of everything, she is superior in everything, intellectually, religiously or politically – and even the Greek heritage seems pale in comparison”… The great Shopenhauer agrees with him and writes in the preface of his “The World as a Will and as a Representation”: “According to me, the influence of Sanskrit literature on our time will not be lesser than what was in the XVIth century Greece’s influence on Renaissance. One day, India’s wisdom will flow again on Europe and will totally transform our knowledge and thought”. And Nietzsche himself had read the Vedas, which he admired profoundly, could quote from the Law of Manu and thought that “Buddhism and Brahmanism are a hundred times deeper and more objective than Christianity”. What are those special qualities that confer an Indian-ness ? Firstly and foremost: “I accept you; I accept that you may be White or Black, Red or Yellow, Christian, Buddhist, or Muslim”. Not only that, “but I am even ready to go and worship in a church or a mosque, besides my temple.” “I accept that my Gods are avatars, incarnations of the Divine, but so is Jesus Christ, and also Buddha and even Mohamed”. This an extraordinary statement and a marvelous instrument towards world peace, at a time when the two great monotheist religions of the world, Islam and Christianity still say: “there is only one true God in the world – mine- and if you worship any other god, you are an Infidel and a Pagan and it is my right to convert you by any means, or even to kill you”. The July 2005 London bombings are nothing but a result of that dangerous theorem. As a result, Indians adapt easily wherever they go, particularly in the West, as they are very open to western culture. Of course, Indians also go to the other extreme: “not only I accept you, but I am going to become exactly like you – no even Whiter than the White: I am going to denigrate my own culture, spit on my religion, belittle my countrymen”. This is why you come across so often in the UK & US on negative articles on India written by Indians – nay by Hindus. What second, third or even fourth generations Hindus in America, or the UK should also ask themselves today is “How can I repay my debt to India” ? After all not only they got a nearly free education in India which was good enough for them to obtain well paid jobs in the US, UK, or Europe, and elsewhere in the West, but did they not also inherit that certain Indian-ness, which has been a great help to adapt to the western way of life. Or: “In what way can I contribute to this great nation which is India, which is often maligned and side-lined in the UK and Europe” ? It would be a low to both Britain (or the US or Canada, or France) if Hindus would totally blend in their countries of adoption and lose their values of tolerance, gentleness, hospitality and the ability to see the One in the Many, it would be not only a loss to themselves, but also to their countries of adoption, to which they would not bring anything special. Take political power in the West & Unite. You know by now that wherever Hindus exiled themselves, they did well, whether as laborers in Mauritius or doctors in the UK or IT engineers in the USA! They pay their taxes, integrate themselves, do not riot, their children top in colleges and universities and generally blend in the culture of the country they adopted. Everybody also knows that some of the biggest multinationals, such as Adobe, Microsoft, Diageo, Mastercard, Google, Pepsi, or others are today headed by Indians – read Hindus. Yet, Hindus are individualistic people and they tend to look down on politics, as something ‘dirty’. This is why they did not always get the politicians they deserve in their home country. We see today that a lot of Muslims are elected in local boroughs or even towns in the US and UK. That is good and should be praised. But it is also true that often these Muslim leaders tend to think only of their community and sometimes use their offices to enforce the vision of their particular communities, such as segregated swimming pools, or even try to modify British textbooks. Hindus, with their universal outlook will not do such things. But they need to come out of their shells and stand for elections at all levels of the British political system. Another drawback of Hindus in the UK and the USA, is that they are terribly disunited and are splintered in many groups, along states of origins, profession, or even castes, sometimes even are at odds with each other. 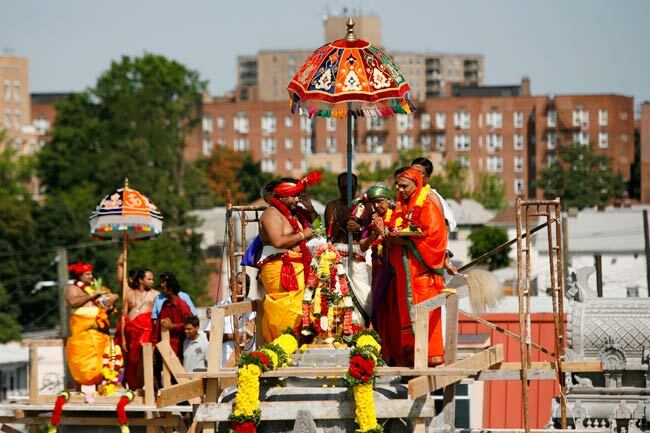 Hindus in the USA & UK should therefore unite under one umbrella organization & the united Hindu diaspora leadership should meet at least once a year with a rotating president. Explain Narendra Modi. 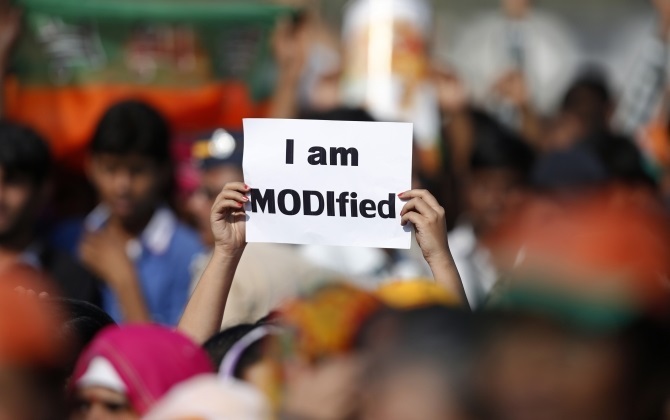 There is a lot of disinformation floating around India. We saw how poverty, caste and polytheism still hang around Hindus’ necks, but what about political misconceptions? For instance, Hindus in the West should offer some counter arguments on the disinformation about Mr Narendra Modi, India’s present prime Minister. They should first remind their friends, that Mr Modi had made of his state, Gujarat, the most efficient, most prosperous and least corrupt of all the states of India. Of course, he is labeled “anti-Muslim and accused him of having engineered the 2002 Gujarat anti-Muslim riots. But remind them that these riots were triggered by the horrifying murder of 57 Hindus, 36 of them innocent women and children, burnt like animals in the Sabarmati Express. Riots of that intensity like in Gujarat, do not happen in a day, they are a result of long term pent-up angers and a spark like the killing of Hindu brothers and sisters, whose only crime was that they believed that the God Ram was born in Ayodhya, is enough the ignite the smoldering fire. Ask your British friends if it is logical that only Mr Modi is targeted? But who went down in the streets in fury in 2002? Hundreds, if not thousands of Gujuratis, not only from the lower strata of society, not only Dalits, but also middle class, and sometimes even upper middle class! Should they also not be judged and condemned? But then it would be the whole of Gujarat who should be hauled to court, an ancient and noble race, who gave so much to India, including Mahatma Gandhi, and today is still exporting all over the world its upright and successful businessmen, to the UK or the US, for instance, where they own most of the motels. Finally, tell them that it was never proved that Mr Modi waited 24 hours before calling the army to quell the riots. Help India become the alternative to China. Emphasize again and again in western forums that India is the natural economic and geopolitical partner of the USA and the rest of the civilized world. For contrary to China, it is democratic, pro-western, liberal, with a middle class as important as China’s. Tell them that the West haves banked all their investments on China, neglecting India, the other giant of Asia, which is a grave mistake because some social upheaval is bound to happen in China sooner or later, as soon as the authoritarian hold is removed one way or another. Highlight the fact that India is a much safer bet in the long run for western investments. Already India’s PIB has overtaken the Chinese, who are facing a lot of economic difficulties. Tell them that at the very least, the US, UK and Europe should balance their chips by investing half of them in India – the Prime Minister, Mr Modi is in the process of liberalizing the economy and making it easier for foreign investors. Tell them that India is the next economic superpower and that it has a much better human rights record than China. It is also very important that you point out that India is the natural geopolitical buffer of the West in an Asia racked by Islamic fundamentalism and the Chinese thirst for hegemony (explain to the British that Beijing is claiming for instance an Indian state as big as England – Arunachal Pradesh). The UK and the US also keep making the mistake of funding and arming Pakistan, even when they fully know that the Pakistanis have unleashed Islamic terrorism not only towards Kashmir, but unto the whole world. Spread Happiness in the West. “India will become the spiritual leader of the world”, Swami Vivekananda had predicted. Thus share with your British friends the fact that hatha yoga, today practiced by hundreds of millions in the world, is a Hindu invention. Tell them too that Ayurveda, also taking the West by storm, is the oldest medical system still in practice in the world; that much before the West knew it used plants and minerals to cure people, knew that many illnesses have psychosomatic sources, and that Indian doctors practiced plastic surgery 1000 years before Christ. Talk about Pranayama, the most exacting, precise, mathematical, powerful breathing discipline one can dream of. Its effects and results have been observed and categorised by Indian yogis for millenniums. This extraordinary knowledge, brings in very quickly wonderful results in both the well being of the body and the quietude of the mind. Pushed to its extreme, it gives to the disciple deep spiritual experiences and a true inner perception of the world. Sri Sri Ravi Shankar has revitalized this science and packaged it in modern terms. Help them to practice meditation, queen of all the yogic sciences, that which is above everything, that without which any yogic discipline is impossible. That which interiorizes us, carries us within ourselves, to the discovery of our true soul and nature. There are hundreds of different mediation techniques, simple, cartesian, easy to experience, which have been devised by Indian sages since the dawn of Bharat. 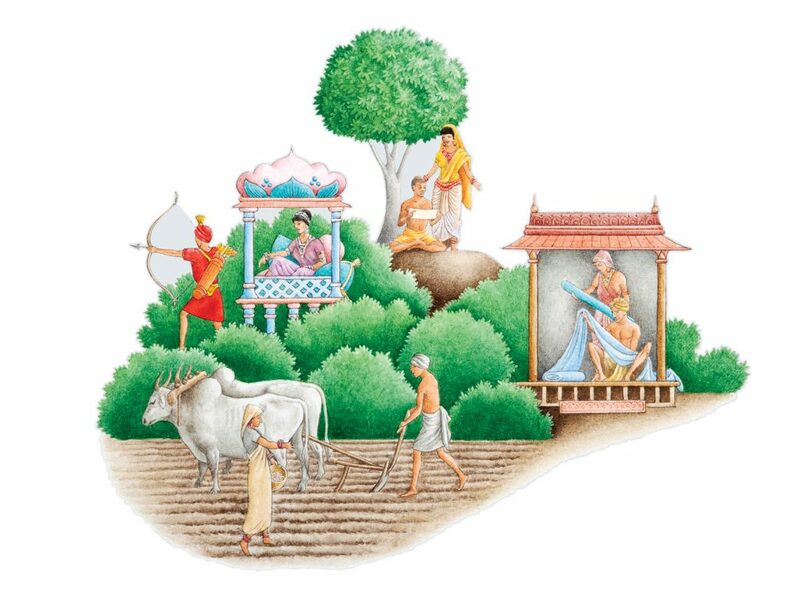 Each one has its own characteristics, each one gives particular results, which has been experienced by the billions of aspirants who have practiced them since the dawn of Vedic times. This is the Wonder that IS Hinduism, tell them. In conclusion, when the Hindus help shed these prejudices which have been harming their image, they can not only continue to contribute to the world’s economic growth, as they have done for several decades, but also, once they participate more intensely in the political power, be recognized as a distinguished community, with a separate and honored identity.